Ukrainzow, Andrew; Regular Force Unit Administration Assistant in 2016, Sergeant in 2016. Ullyeh, Lesley Marie; Taken on strength 30th Field Artillery Regiment RCA on 8 Jul 1975, trasnsferred to Supplementary List on 19 Jan 1976, promoted Corporal in 1978, promoted Master Corporal in 1980, appointed Officer Cadet on 27 Oct 1980, transferred to 15th Field Artillery Regiment RCA on 1 Sep 1981, transferred to Supplementary List on 1 Mar 1982, transferred to 15th Filed Artillery Regiment RCA on 22 Apr 1982, promoted Lieutenant on 27 Apr 1982, transferred to 5 Field Battery RCA on 1 Oct 1982. Ulmer, Adolph S; Taken on strength with 15th Field Regiment RCA on 25 Mar 1948, appointed Acting Sergeant on 26 Mar 1948, confirmed as Sergeant on 12 Mar 1952, struck off strength on 12 Mar 1952. Ulmer, Clifton Paul; Taken on strength as a Gunner in 15th Field Artillery Regiment RCA on 30 Nov 1993, qualified QL2 Common Recruit on 23 Aug 1994, released on 24 Nov 1994. Underhill, Frederic Clare; 6th Field Company Canadian Engineers, Lieutenant May 1915, 1st Canadian Pioneers Sep 1915, England Nov 1915, France Mar 1916, wounded Armagh Wood Ypres 18 Jun 1916, England Jun 1916, Canadian Garrison Artillery Oct 1916, attached 245th Siege Battery Royal Garrison Artillery, Captain Nov 1916, France Jan 1917, gassed Messines 8 Jun 1917, 1st Canadian Heavy Battery, Lieutenant Mar 1918, 2nd Canadian Heavy Battery, Captain Mar 1919, Mentioned in Despatches 7 Mar 1919, Canada and discharged May 1919, Major in 5th Siege Battery 15th Brigade Canadian Field Artillery 1922, Corps Reserve from 1924 to 1925, 5th Reserve Medium Battery from 1925 to 1927, Lieutenant-Colonel and Commanding Officer of 15th (Vancouver) Coast Brigade RCA NPAM from 1940, 39th Reserve Field Regiment RCA from 1943 , 11th Reserve Anti-Aircraft Regiment RCA from 1944 to 1946, deceased 22 May 1982. 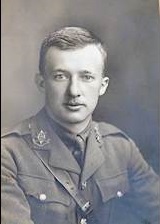 Underhill, James Theodore; 6th Battalion East Yorkshire Regiment Second Lieutenant Mar 1915, Gallipoli Jun 1915, Lieutenant wounded Suvla Bay 9 Aug 1915, invalided to Cairo Aug 1915, invalided to England Aug 1915, France 18th Battalion East Yorkshire Regiment Mar 1916, wounded Somme 1 Jul 1916, invalided to England Jul 1916, Canadian Siege Artillery Lieutenant Oct 1916, France Jan 1917, attached 245th Siege Battery Royal Garrison Artillery, invalided to England Jun 1917, Canada Sep 1917, attached No. 11 Special Service Company and 11th Battalion Captain and Adjutant, discharged Apr 1919, Captain in 5th Siege Battery 15th Brigade Canadian Field Artillery in 1922, Corps Reserve from 1924 to 1925, deceased 2 Oct 1976, buried Woodlands Memorial Garden New Westminster BC. Underhill, Ronald Clair; Taken on strength as a Gunner with 58th Battery 15th (Vancouver) Coast Regiment RCA NPAM on 31 Jul 1940, assigned regimental number V1008, taken on strength 31st Heavy Battery 15th (Vancouver) Coast Regiment RCA CASF 7 Oct 1940, disembarked Gourock Scotland 19 Apr 1941, taken on strength 2nd Field Regiment RCA 8 Aug 1941, appointed Acting Lance Bombardier 8 Apr 1943, confirmed Lance Bombardier 9 Sep 1943, appointed Acting Bombardier 4 Jun 1944, reverted to Lance Bombardier 16 Jun 1944, appointed Acting Bombardier 25 Jun 1944, appointed Acting Sergeant 13 Aug 1944, killed in action on 13 Sep 1944, buried at Gradara British Empire Cemetery. Underwood, Leon P; Taken on strength 15th Field Artillery Regiment RCA, awarded Most Efficient Bombardier of the Year 2013, Master Bombardier in 2014. Unwin, Harry Battersby; Taken on strength as a Gunner with 85th Battery 15th (Vancouver) Coast Regiment RCA NPAM on 30 Aug 1940, assigned regimental number V10436, assigned new regimental number K417562. Upshall, Joanne Catherine; Taken on strength as an Administrative 15th Field Artillery Regiment RCA on 4 Nov 1974, released on 10 Apr 1975. Upton, David Vincer; Taken on strength 15th Field Regiment RCA 10 May 1956, appointed Lance Sergeant 1961, Lieutenant in 1969. Upton, Vince; Sergeant in 85th Heavy Battery 15th (Vancouver) Coast Brigade RCA on 30 Aug 1939. Urbanowski, Martin J; Taken on strength as a Gunner in 15th Field Artillery Regiment RCA on 7 Nov 1984, qualified General Military Training on 13 Dec 1986, qualified TQ1 Artilleryman on 18 Jul 1987, promoted Bombardier on 18 Jul 1987, released on 1 Apr 1992, Cadet Instructor List officer in 2016. Ure, Kenneth James; Taken on strength 15th Field Regiment RCA on enrolment on 10 May 1956, struck off strength on release on 1 Jan 1957, taken on strength on 15 Apr 1958, transferred to 15th Field Regiment RCA Military Band on 31 Oct 1958. ​Urquhart, David William; Taken on strength as a Gunner in 15th Field Artillery Regiment RCA on 19 Jan 1989, qualified General Military Training on 25 Aug 1989, qualified QL3 Infantry on 25 Aug 1989, qualified QL3 Basic Artillery on 11 May 1990, qualified QL4 Artillery Communications on 19 Jul 1991, promoted Bombardier on 1 Sep 1991, qualified Artillery Recce Technician Part I on 29 May 1993, operational tour with UNFICYP from 31 Jul 1992 to 16 Mar 1993, qualified QL4 Observation Post Technician on 8 Mar 1993, promoted Master Bombardier on 1 Nov 1993, qualified Basic Parachutists Course on 19 Nov 1993, qualified LFC Driver Wheeled on 18 May 1997, qualified QL6A Part I & II on 24 Jul 1998, promoted Sergeant on 3 Sep 1998, released. Usher, Charles; Enrolled in Canadian Officer Training Cadre 1915-16, attested into 68th Overseas Depot Battery 11 Sep 1916, regimental number 339277, embarked to England Jan 1917, Embarked to France 88th Battery Canadian Field Artillery Mar 1917, gassed Passchendaele 16 Nov 1917, wounded Thelus Wood Vimy 28 Mar 1918, invalided to England Apr 1918, 68th Field Battery 16th Brigade Canadian Field Artillery Northern Russian Expeditionary Force Aug 1918, England Jun 1919, Canada and discharged Jul 1919, married Thomasina Coulter 1920, deceased 17 Aug 1978, buried Royal Oak Burial Park Cemetery Victoria BC. Ushizawa, Dean Takahashi; Taken on strength as a Gunner in 15th Field Artillery Regiment RCA on 2 Jul 1984, qualified General Military Training on 10 Aug 1984, released on 8 Sep 1984, re-enroled on 6 Jun 1985, qualified TQ1 Artilleryman on 2 Aug 1985, released on 14 Oct 1985. Vakili, Ahmad; Taken on strength as a Gunner in 15th Field Artillery Regiment RCA on 13 Sep 2001, qualified QL2 Basic Military Qualification on 26 Jul 2002, qualified QL3 Artillery on 2 Aug 2002. Valiquette, Andrew Robert; Taken on strength as a Gunner in 15th Field Artillery Regiment RCA on 16 Jul 2004. Vallillee, John Edward; Former service with Canadian Field Artillery from 1914 to 1919, served with 53rd Canadian Field Artillery from 1920 to 1921, taken on strength as a Gunner with 31st Heavy Battery, 15th (Vancouver) Coast Brigade RCA on 22 July 1940, died of acute dilatation of the heart muscle, etc at Stanley Park Fort on 18 May 1941, buried at Mountain View Cemetery. Van Buschbach, Edward Alexander; Taken on strength 15th Field Artillery Regiment RCA on 4 Jul 1977, released on 4 Aug 1977. Van Deursen, John Francis; Taken on strength as a Musician in 15th Field Artillery Regiment RCA with previous service on 8 Nov 1981, qualified General Military Training, qualified TQ1 Musician on 17 Jun 1982, qualified TQ2 Musician on 10 Aug 1982, promoted Bombardier on 8 Nov 1982, released on 25 May 1983. Van Norman, Murray Clarence; Taken on strength 9th Battery 1st Anti-Aircraft Regiment RCA as a Gunner on 5 September 1939, taken on strength 111th Battery, 6 Field Regiment RCA on 8 November 1939, disembarked Gourock Scotland on 5 September 1940, taken on strength 7 Anti-Tank Regiment RCA on 12 August 1941, appointed Acting Lance Bombardier on 16 September 1941, appointed Acting Bombardier on 1 November 1941, appointed Acting Lance Sergeant on 1 January 1942, confirmed Bombardier 1 February 1942, confirmed Lance Sergeant 25 May 1942, confirmed Sergeant on 15 December 1942, killed in action 20 September 1944, buried at Coriano Ridge British Empire Cemetery in Italy. 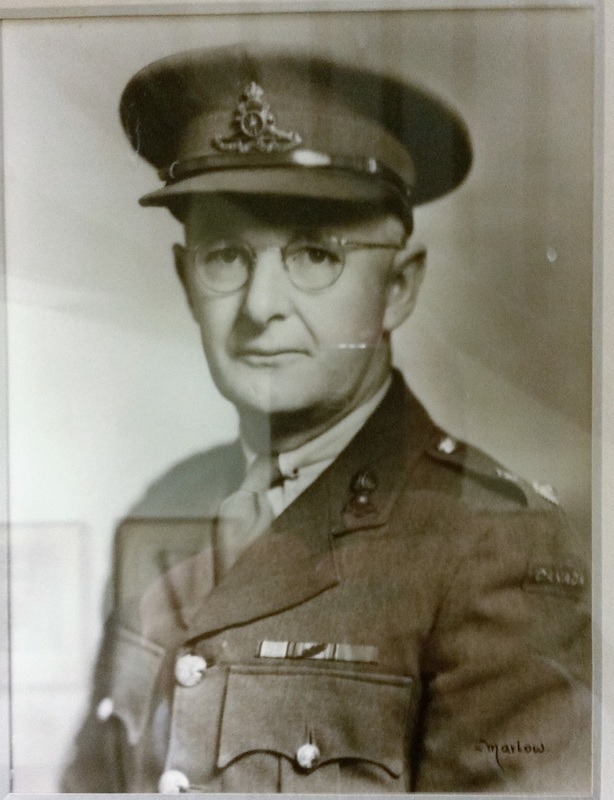 Van Slyke, Benjamin; Taken on strength as a Musician in 15th Field Artillery Regiment RCA, component transferred to Regular Force, posted to la Musique du Royal 22e Régiment; posted to the Stadacona Band of Maritime Forces Atlantic; posted to the Royal Canadian Artillery Band. Van Slyke, Jeffrey Bruce; Taken on strength as a Gunner in 15th Field Artillery Regiment RCA on 9 Jul 1979, qualified General Military training on 2 Sep 1979, qualified TQ1 Artillery on 5 Apr 1980, promoted Bombardier on 9 Jul 1980, qualified Driver Non-Trade on 18 dec 1980, qualified TQ3 Artillery on 12 Nov 1982, released on 15 Mar 1983. Van Slyke, Matthew; Taken on strength as a Musician in 15th field Artillery Regiment RCA. ​Van Slyke, Richard John; Taken on Strength in the Regimental Band in 1968, promoted Bombardier 1 Apr 1970, qualified QL3 Artilleryman 1971, qualified QL4 Musician 1971, promoted Lance Sergeant 1 Nov 1971, promoted Sergeant 1971, qualified Artillery Detachment Commander 1972, promoted Warrant Officer 1978, promoted Master Warrant Officer 1979, awarded Canadian Forces Decoration 1980, promoted Chief Warrant Officer 1984, Bandmaster 1984, commissioned to Captain 1985, appointed Director of Music from 1985 to 2005, awarded clasp to Canadian Forces Decoration 1990, admitted as a member into the Order of Military Merit 26 Oct 1999, operational tour with OP ALTHEA in Bosnia, awarded second clasp to Canadian Forces Decoration 2000, awarded third clasp to Canadian Forces Decoration 2000, retired 2011. Vandaelle, Rodney Glen; Taken on strength as a Musician in 15th Field Artillery Regiment RCA on 4 Mar 1978, released on 18 Nov 1978. 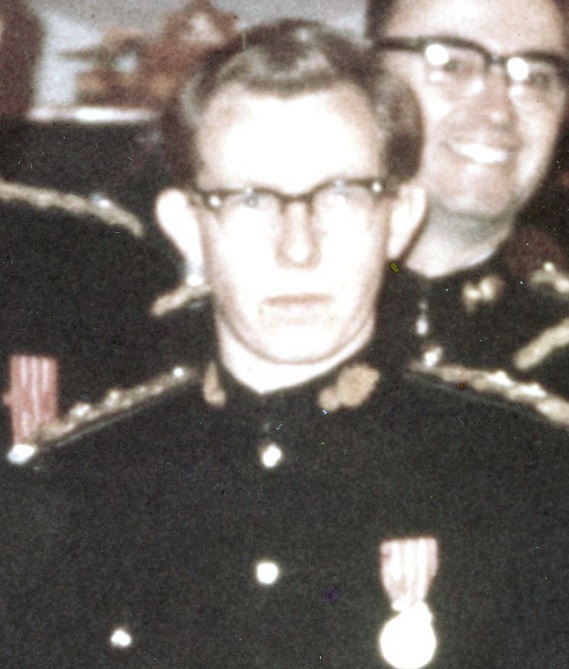 Vanderpas, Jake Carolus; Taken on strength 15th Field Regiment RCA on 30 Oct 1958. Vanderzalm, Marty W; Taken on strength in 15th Field Artillery Regiment RCA in 2011, Bombardier in 2014, awarded Most Efficient Bombardier of the Year 2014 . Vanlier, JA; Private in 31 Battery in 1969. ​Varga, Gabriela E; Taken on strength in 15th Field Artillery Regiment RCA, Master Corporal in 2016. Vargas, Robert Ba-Ang; Taken on strength as a Gunner in 15th Field Artillery Regiment RCA on 24 Mar 1983, qualified General Military Training on 3 Aug 1983, qualified TQ1 Artilleryman on 22 Jul 1983, qualified TQ2 Artillery Basic Technician on 12 Aug 1983, released on 8 Dec 1983. Varney, Richard Craig; Taken on strength as a Gunner in 15th Field Artillery Regiment RCA on 8 Mar 1973, released on 19 Jun 1973, enroled 9 Jan 1979, qualified General Military Training on 10 Jun 1979, qualified TQ1 Artillery on 5 Apr 1980, promoted Bombardier on 1 Sep 1980, released 31 Mar 1981. Vascotto, L; Private in the Regimental Band in 1969. ​Vaughan, Albert Douglas; Taken on strength 31 Battery 15th (Vancouver) Coast Brigade RCA NPAM 6 Aug 1940, assigned regimental number V9496, assigned new regimental number K415596, transferred to 15th (Vancouver) Coast Brigade RCA NPAM 27 Oct 1940. Vaughan, William Randolph; Taken on strength as administrative staff (instructor) Gunner with 15th (Vancouver) Coast Regiment RCA NPAM on 1 Aug 1940, attended instructors course Heals Camp on 19 Aug 1940, appointed Acting Lance Sergeant, assigned new regimental number K415002 10 Oct 1940, posted to 58th Heavy Battery 1 Nov 1940. Veenstra, Christian N; Taken on strength as a Musician in 15th Field Artillery Regiment RCA, Bombardier in 2014. ​Veuger, Peter FW; Born and raised in Utrecht the Netherlands, emigrated to Canada in 1952, opened the first of three businesses he owned on Robson Street in 1956, Honorary Protocol Officer at the Royal Vancouver Yacht Club, member of the Canadian Force Liaison Council, taken on strength 8 November 2004 as the Honorary Lieutenant-Colonel 2004 15th Field Artillery Regiment RCA until he retired on 8 November 2010, deceased 1 January 2014. Vezina, Raymond Jeffrey; Taken on strength as a Gunner in 15th Field Artillery Regiment RCA on 15 Feb 1977, released on 29 Aug 1977. Viens, Michael Thomas; Taken on strength as a Musician in 15th Field Artillery Regiment RCA on 14 Jun 1984, qualified General Military Training on 17 Aug 1984, qualified TQ1 Musician on 17 Aug 1984, qualified QL2 Tenor Saxophone on 24 May 1985, promoted Bombardier on 27 Jun 1985, qualified Driver Non-Trade on 30 Dec 1985, qualified ITT Saxophone on 15 Aug 1987, transferred to Supplementary List on 10 Sep 1987. 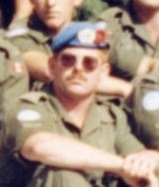 Vik, Mitchell Stanley; Taken on strength as a Gunner in 15th Field Artillery Regiment RCA on 9 Apr 1992, qualified QL2 General Military Training on 25 Jul 1992, awarded Most Efficient Recruit of the Year trophy 1992, qualified QL3 Artilleryman on 14 Aug 1992, released on 5 Apr 1994. ​Villaluz, Brandie Joleen; Taken on strength as a Gunner in 15th Field Artillery Regiment RCA on 25 Jun 1994, qualified QL2 Common Recruit on 27 Aug 1994, qualified LFC Driver Wheeled on 8 Jan 1995, qualified QL3 Artilleryman on 5 Mar 1995, qualified QL4 Artillery Driver Wheeled on 9 Oct 1995, released on 30 Sep 2003. Villanueva, Jeoffrey de Castro; Taken on strength as a Gunner in 15th Field Artillery Regiment RCA on 4 Apr 1996, qualified QL2 General Military Training on 26 Jul 1996, qualified QL3 Artillery on 20 Aug 1996, released on 15 Jul 1997. ​Villegas, James Rudolph; Taken on strength as a Musician in 15th Field Artillery Regiment RCA on 16 dec 1981, qualified TQ2 Musician on 28 Aug 1982, released on 3 Mar 1983. Viney, Robert; Taken on strength as a Gunner with 85th Battery 15th (Vancouver) Coast Regiment RCA NPAM on 9 Aug 1940, assigned regimental number V10473, assigned new regimental number K417563. Vlake, Adrian John; Taken on strength as a Gunner in 15th Field Artillery Regiment RCA on 17 May 1973, released on 15 Apr 1975. Vogel, William Martin; Taken on strength in 15th Field Regiment RCA on 1 Oct 1953, struck off strength on 11 Feb 1954. ​Voth, Andrew J; Taken on strength as a Musician in 15th Field Artillery Regiment RCA, Gunner in 1990, a Bombardier from 2014 to 2017. Vuong, Vincent Vanie; Taken on strength as a Gunner in 15th Field Artillery Regiment RCA on 22 Apr 1997, qualified QL2 General Military Training on 3 May 1997, released on 9 Aug 1997.